default is empty. If nonempty, alt should also be set. 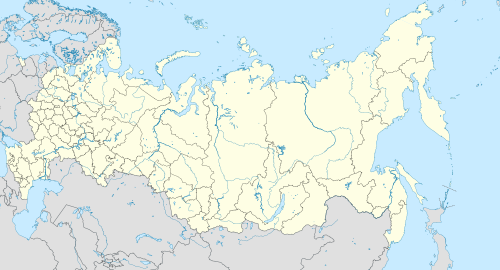 |alt=Map of Russia and its subdivisions with several cities highlighted: Saint Petersburg, Moscow, Samara, Tomsk, Novosibirsk, Krasnoyarsk, Khabarovsk, and Vladivostok. (empty) link for marker. If nonempty, alt= should also be specified. หน้านี้แก้ไขล่าสุดเมื่อวันที่ 14 มีนาคม 2557 เวลา 02:51 น.